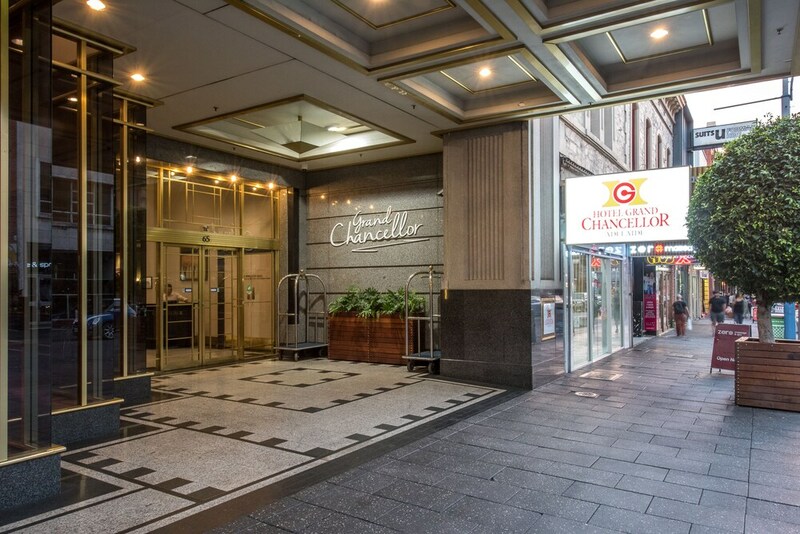 With a stay at Hotel Grand Chancellor Adelaide, you'll be centrally located in Adelaide, within a 5-minute walk of Adelaide Casino and Adelaide Convention Centre. This 4-star hotel is 0.3 mi (0.5 km) from Rundle Mall and 0.6 mi (0.9 km) from Adelaide Oval. Bistro Sixty5 - This restaurant serves breakfast and dinner.